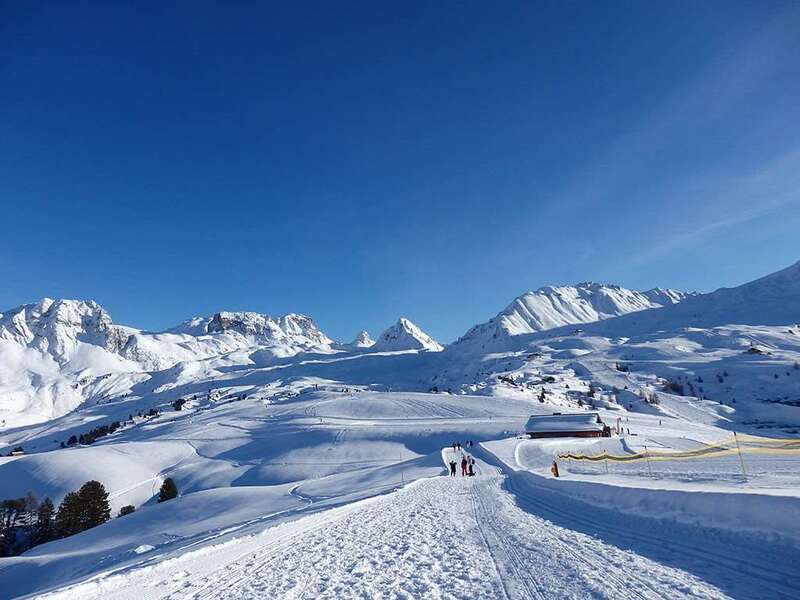 La Plagne Soleil is one of the smallest villages around the La Plagne ski area, making it a fantastic option for those looking for a tranquil place to rest after enjoying all that the slopes have to offer. If you want to avoid the congestion and queues seen at some of the larger resorts, La Plagne Soleil is absolutely ideal. The surroundings here are absolutely magnificent and there are more than enough facilities here to provide you with what you need. It’s the perfect place to escape to and revel in the beauty of Tarentaise valley. 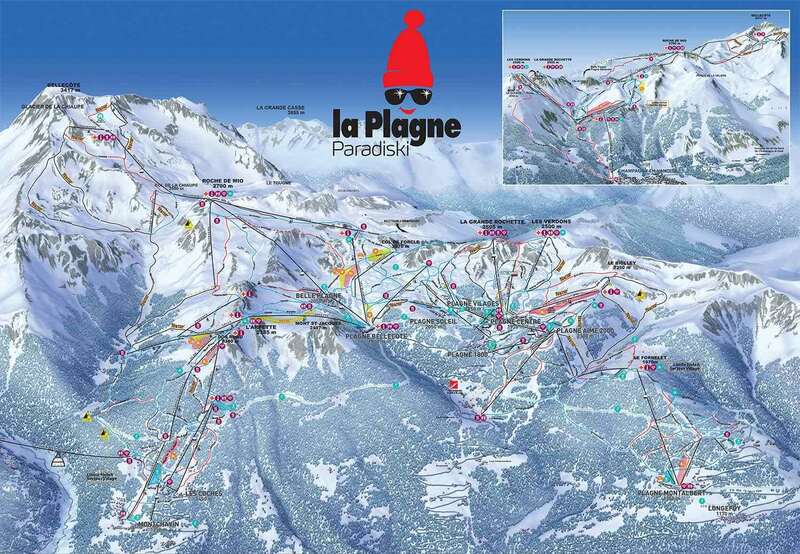 La Plagne Soleil and La Plagne Village are the smallest resorts in the La Plagne domain. Even though they are small they are high altitude benefitting from excellent snow conditions and just a short bus journey from La Plagne Centre. Plagne Soleil has several restaurants, ski hire shops and ski schools as well as a Spar but for any other shops and entertainment you will need to visit Plagne Centre or one of the other larger villages in resort. It is possible to walk to Plagne Centre, walking there is downhill but walking back is up hill so you may wish to wait for a bus on your return journey. The bus runs all day between 8:30 am and 11:30 pm (check times before travel in the evening as they will be less frequent). What’s more, reaching the slopes here is easy enough as the village is located between several blue runs which lead down into Plagne Centre and La Bergerie chairlift. With great transportation to all of the local runs, meaning you can quickly travel between the fast-paced ski routes and the local village without worry. The ski season here runs from early December through to late April and the runs here are maintained to an outstanding condition. The resort stands at an altitude of 2050m, with 425km of piste available for skiers and snowboarders to explore in the Paradiski area. It’s a fantastic ski area with a variety of amazing runs for beginners, intermediates and experts alike. Many of the routes here sit in the middle of truly magnificent scenery, making them absolutely unforgettable options for those wanting to experience the majesty of the French alps. There’s also a fantastic park at Belle Plagne for snowboarders that offers a selection of exhilarating jumps and rails. There are a few restaurants in La Plagne Soleil, including the stunning Le Dou Du Praz, which offers an amazing array of traditional French cuisine in a blissful mountainside location. Monica’s pub is another fantastic entertainment venue for skierse, providing a selection of excellent drinks, live music and a warm and welcoming atmosphere. Monica's has a large terrace perfect for lunches and apres ski drinks in the afternoon and is the only late night bar in the village. For much more variety and night clubs head to Plagne Centre. The closest airport to La Plagne Soleil is Chamberry, which is around 2 hours away. Geneva airport is also a popular gateway airport which takes around 3 and a half hours.